No complex setup. No waiting. Just answers. Whether your data is in structured JSON or mysterious plain text, it’s easy to send to Logentries for immediate search. 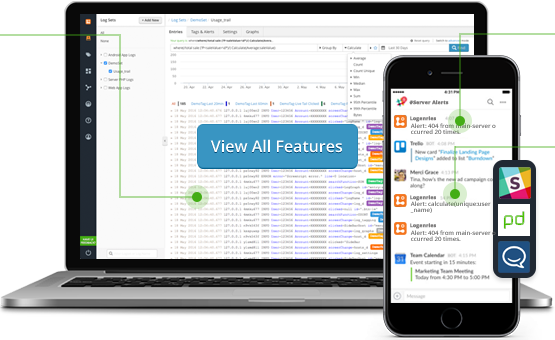 Organize logs from servers, applications, routers, containers and more in one central location. Our search is now 300x faster than its previous generation. Whether you’re searching keywords, key value pairs or regex patterns, get results faster than ever. Create custom tags for spotting important events. View logs in raw format or in Table View for easy interpretation. With our intuitive query language, LEQL, you can use analytical functions such as AVERAGE(), COUNT(), GROUPBY(), min, max and percentile. Analyze your log data with line graphs, bar charts, multi-line reports and more. Perform investigations from start to finish by drilling into data visualizations to view the specific log events behind the chart. Want to view your log data using popular tools like Tableau, Hosted Graphite or Geckoboard? Our simple export tools and APIs make it easy to share your data outside of Logentries. Logentries’ unique preprocessing engine enables you to watch your logs stream directly into the Logentries UI with Live Tail and receive immediate alerts without delay. Catch unusual activity with live Anomaly Detection based on automated analysis of your systems’ baselines. Receive instant alerts when expected activity doesn’t occur within a selected timeframe. 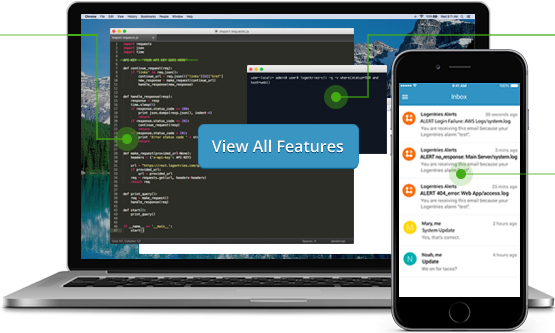 Publish alerts to popular tools like Slack, Hipchat, PagerDuty or any webhook for seamless integrations. Programmatically query your log data for raw logs, calculation results or data ready for visualization. Easily add, remove and modify account users, create teams and restrict access. Seamlessly view recent events, run queries and manage your account from the command line. Quickly set alerts to notify you of important events. 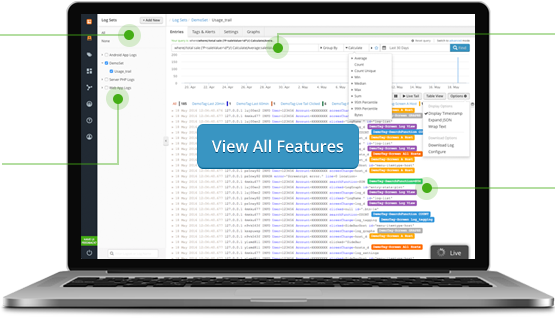 Easily analyze logs from servers, network services, platforms, containers and more. 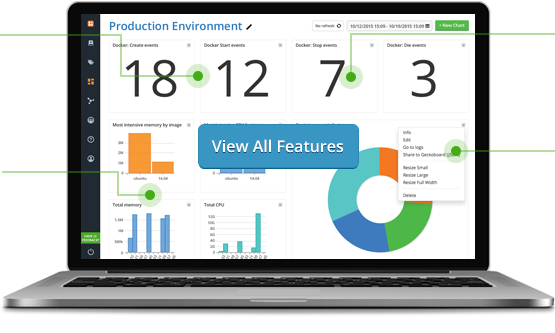 Stream live application logs and performance metrics for real-time analysis and debugging. Immutable log storage, centralization and reporting to meet compliance requirements. This video reviews how to search and analyze your log data with the Logentries Query Language (LEQL). Watch this video to learn about your different options for sending log data to Logentries and find out how easy it can be to get started. This quick video tutorial will walk you through adding a user and configuring a restricted team. This brief video tutorial walks you through configuring tags and alerts in Logentries. This short video will walk you through creating a dashboard widget.